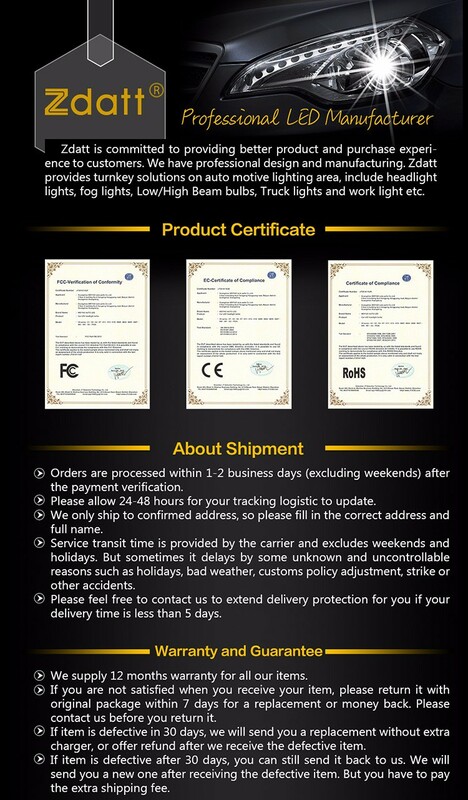 Dual Beam: H4 9003 HB2. Single Beam: H1 H7 H11 H9 H8 9005 HB3 9006 HB4. Power: 50W per bulb, 100W per pair. 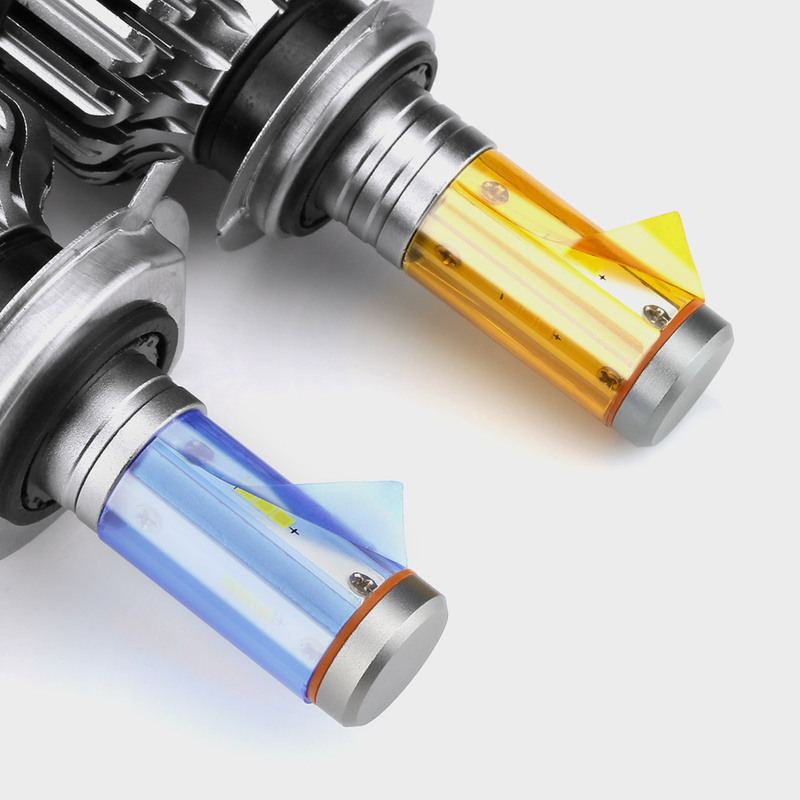 Double heat dissipation system, built-in fan cooling & aluminum alloy material. 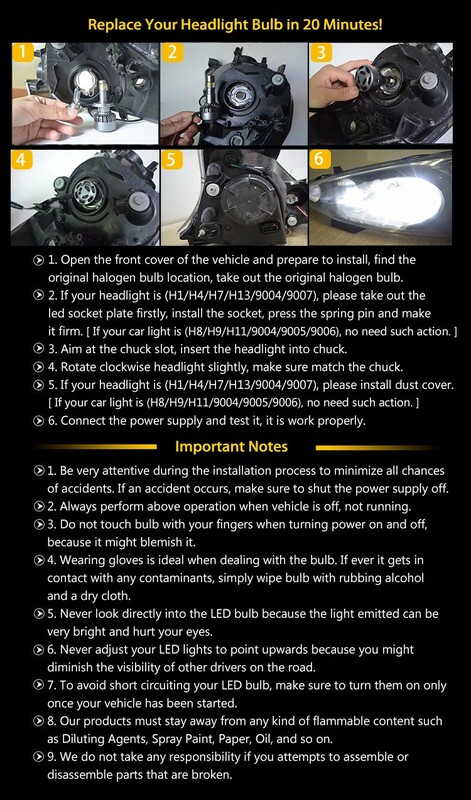 Plug and play, replace your original halogen and dim bulb. 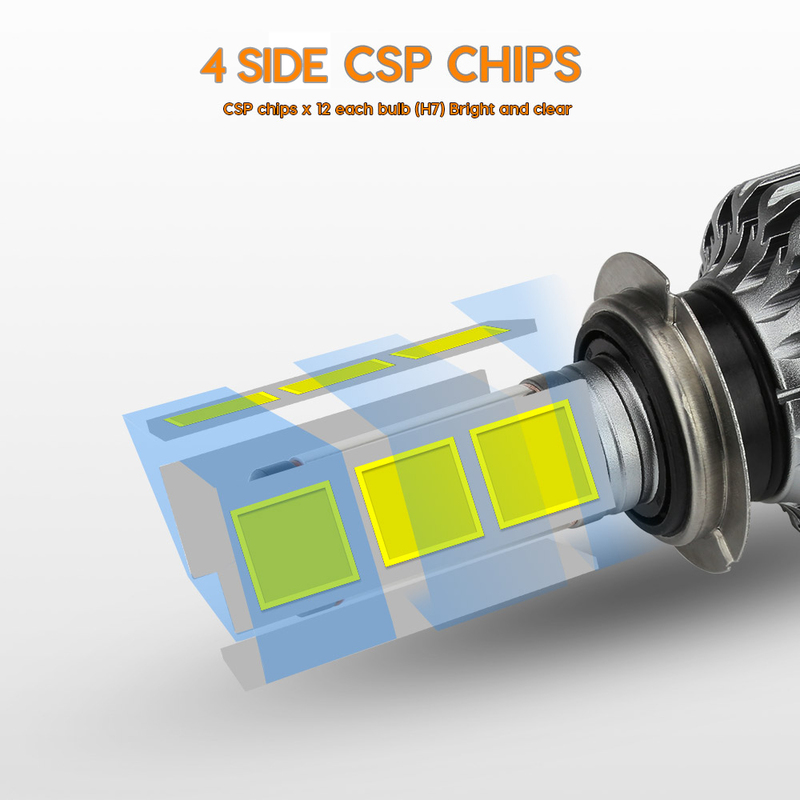 Independent driver, power and current stability enhancement. 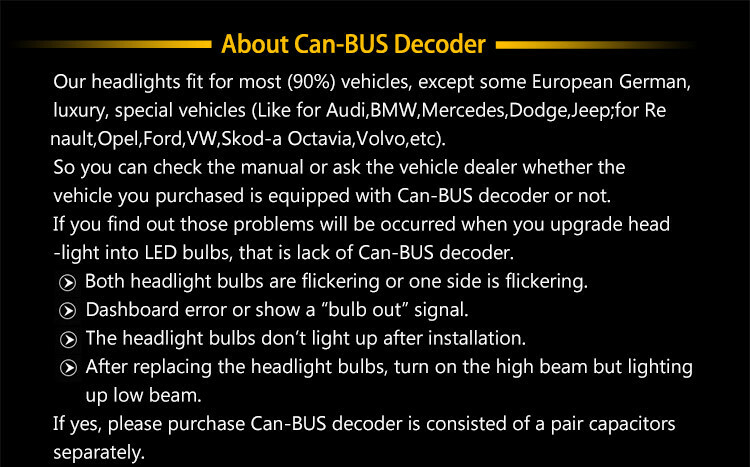 Canbus / Decoder / Error Canceller/ Flicker canceller system, solve FM disturbed. 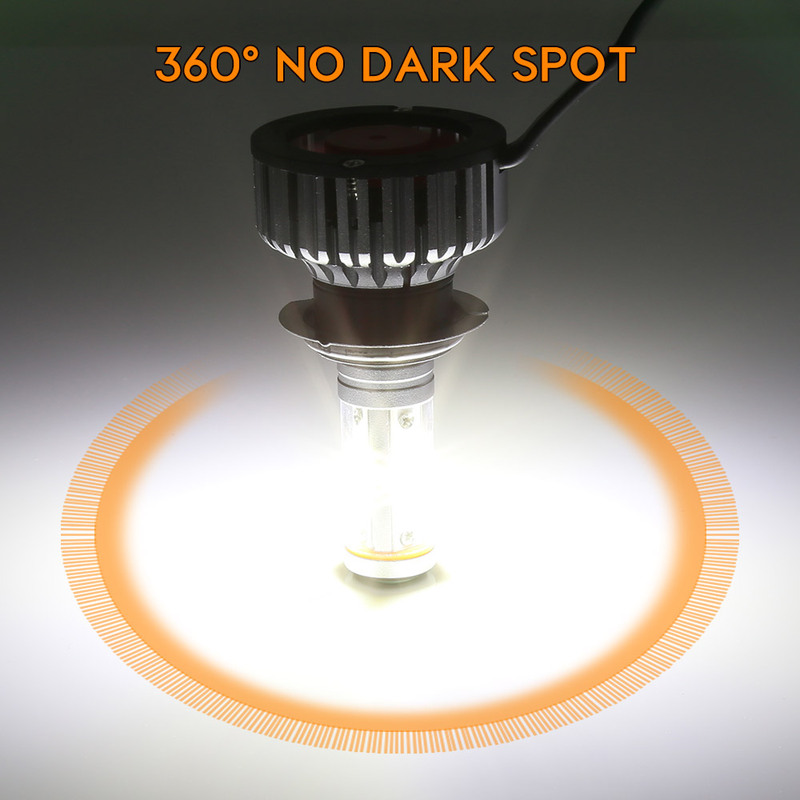 360 degree lighting, No dark spot, No blind zone, made of 4 sides super brightness CSP Led Lamp. 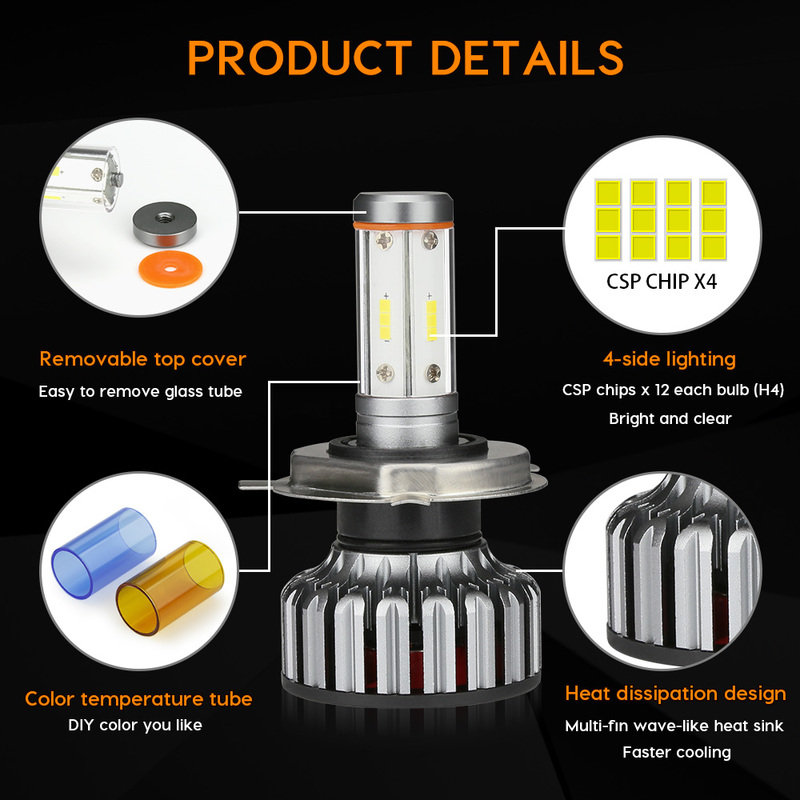 Made by new light aviation aluminum and slice design increase the cooling area, extend lamp life, fast thermal conductivity, rustless, used life more than 50000 hours. 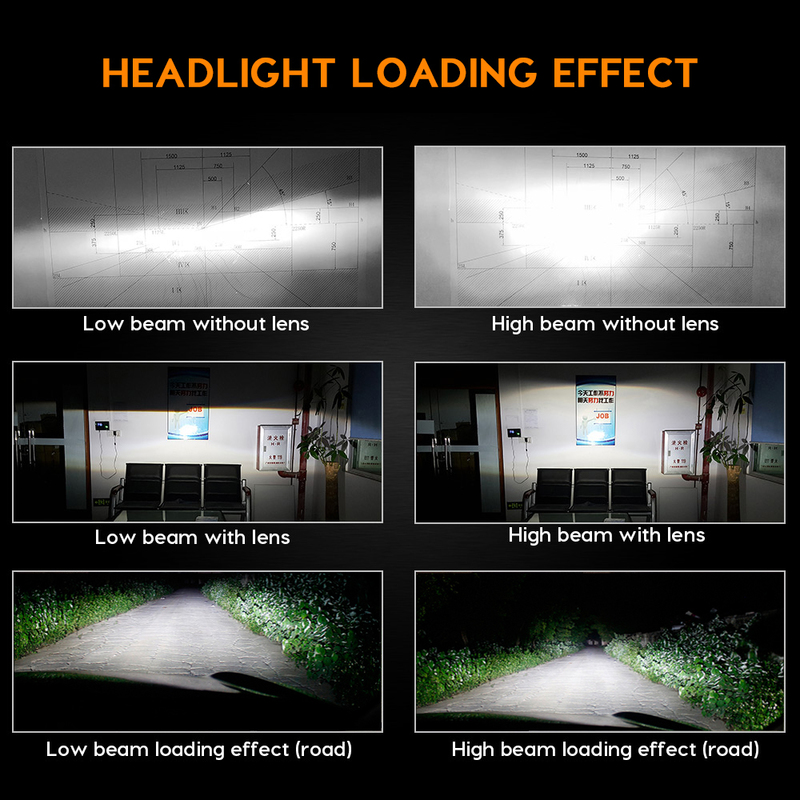 High Beam: headlamps provide a bright, center-weighted distribution of light. 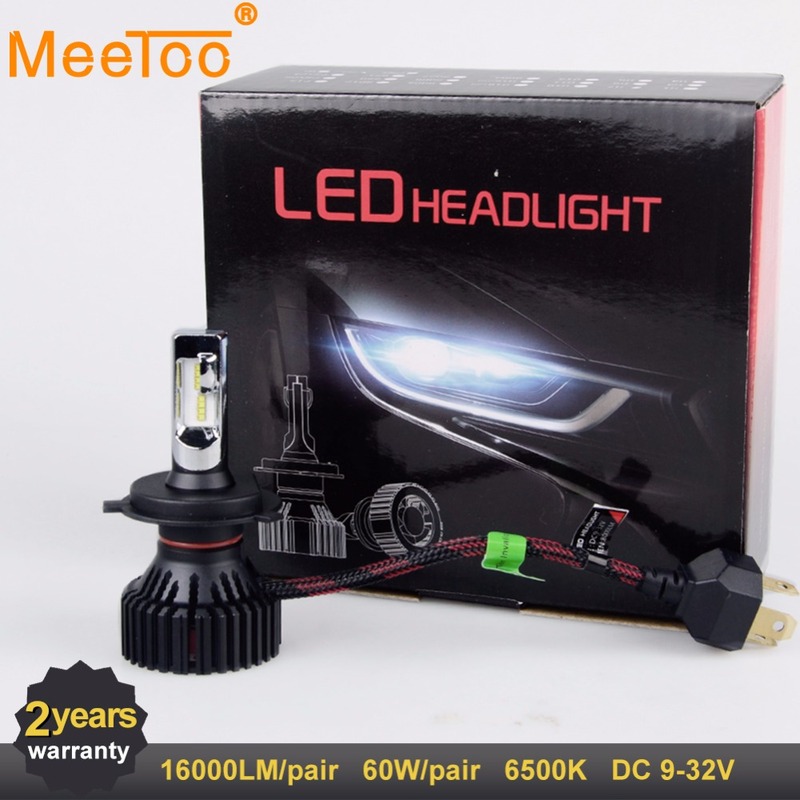 Low Beam: headlamps with beautiful cutting line provide adequate forward and lateral illumination. 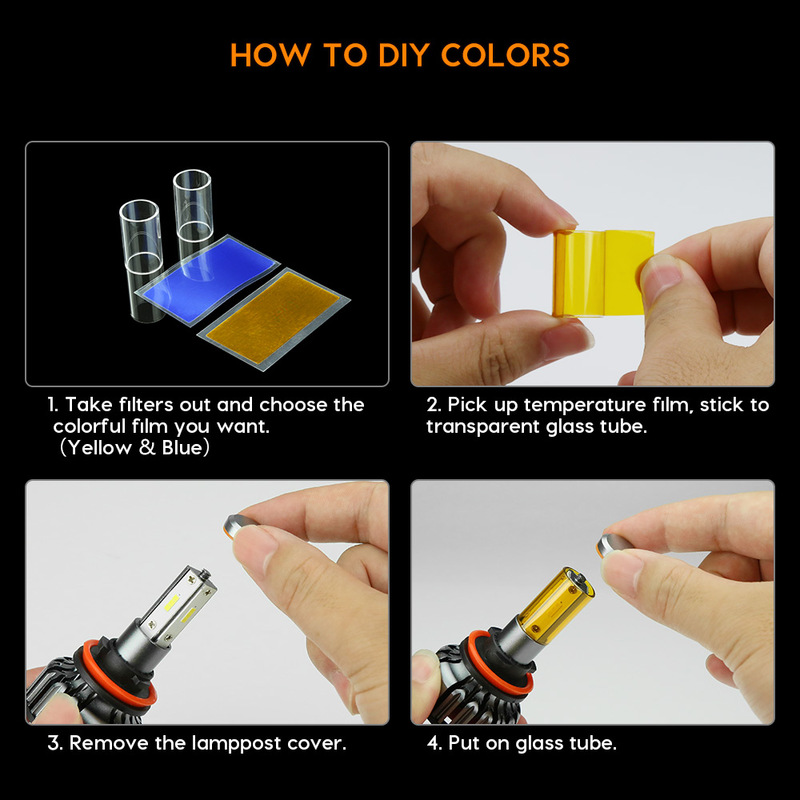 3 Colors DIY: 2 pairs of transparent filters, 2 pairs of color films (yellow & blue). 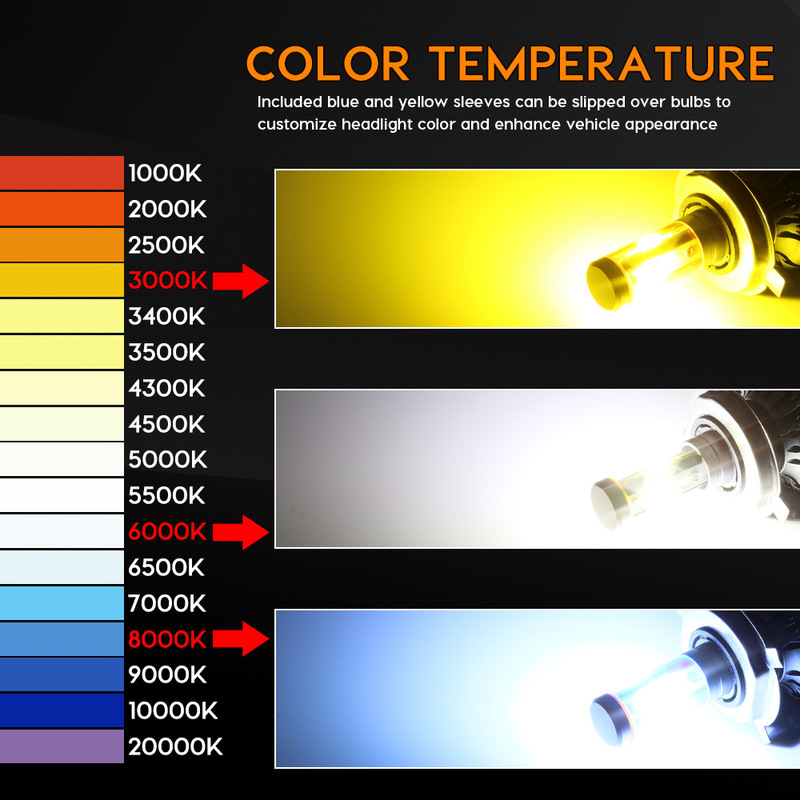 3000K Amber Yellow, 8000K Blue, 6000K Cool White for choosen. 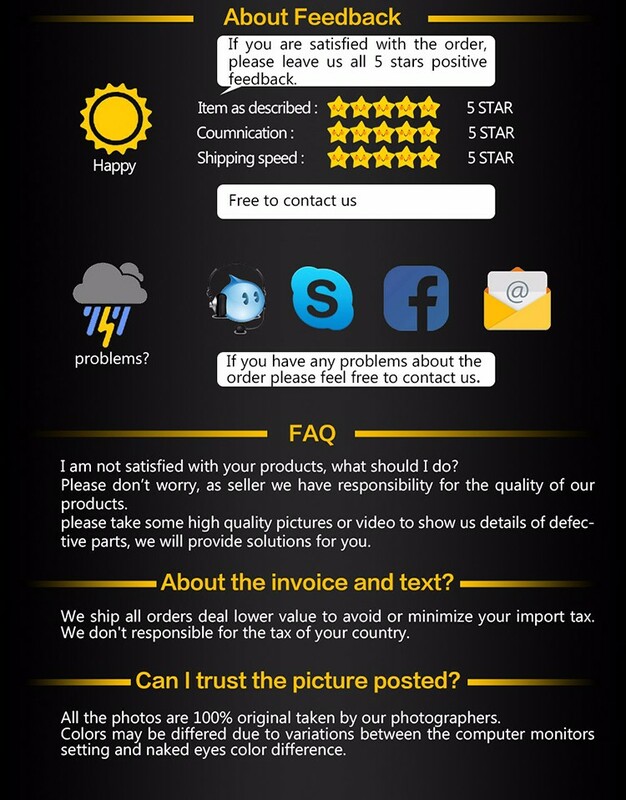 Attention Please: you have to attaches films yourself. 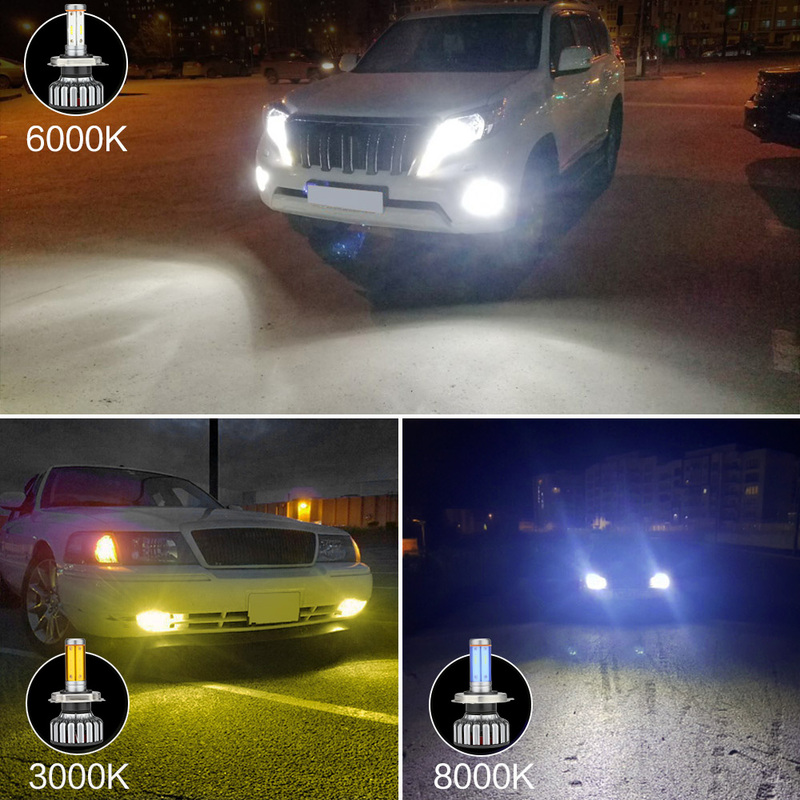 3000K for bad weather & fog light; 8000K more cool on your way home; 6000K like sunshine, safer & better penetration. 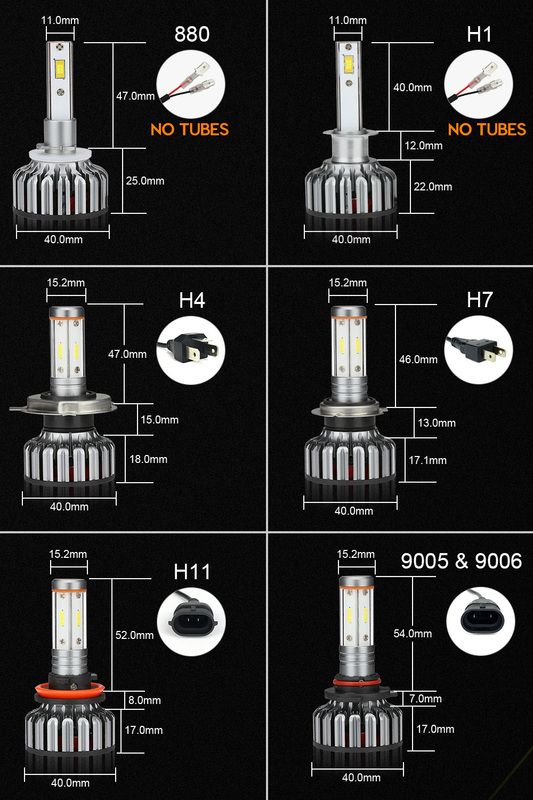 Notice: 880 & H1 are special sockets, not 4 sides, just 2 sides leds, not include glass tube. 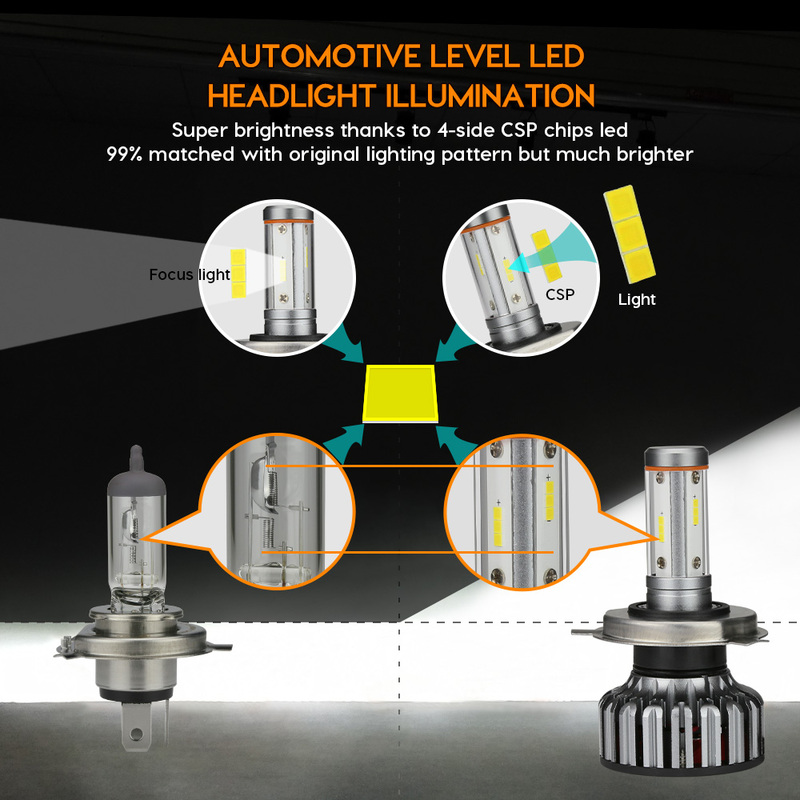 Using CSP Led Chips and special design, provide better lighting type, shape in a line and spotlight. 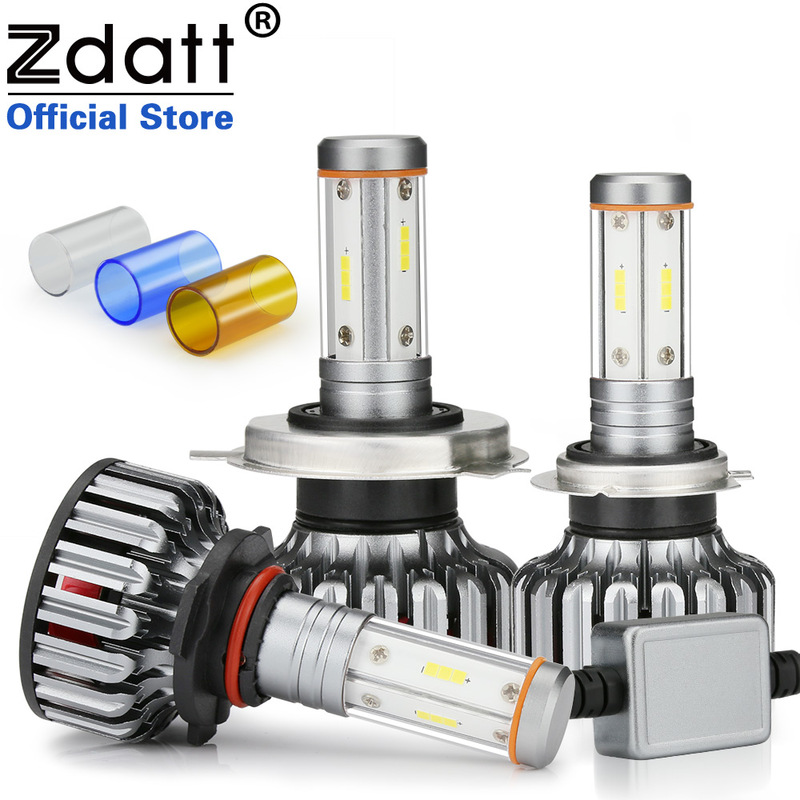 If yours are on the verge of burning out or looking yellow or dim, get to ZDATT to find the highest-quality replacement headlights available. 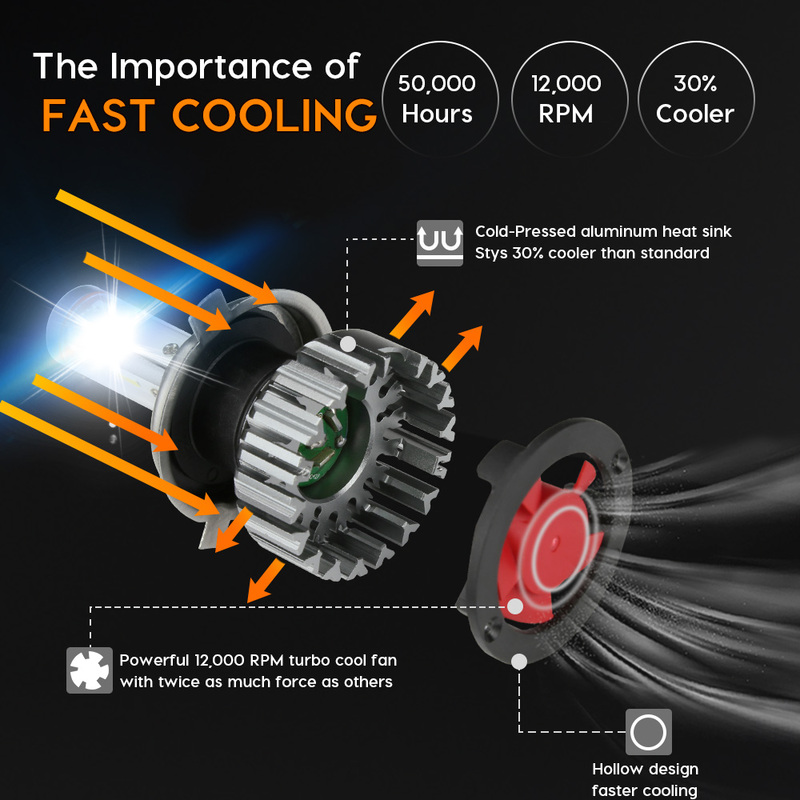 Cooling System With Powerful turbo fan with 12,000 RPM, fast cooling, keep super long time lighting. 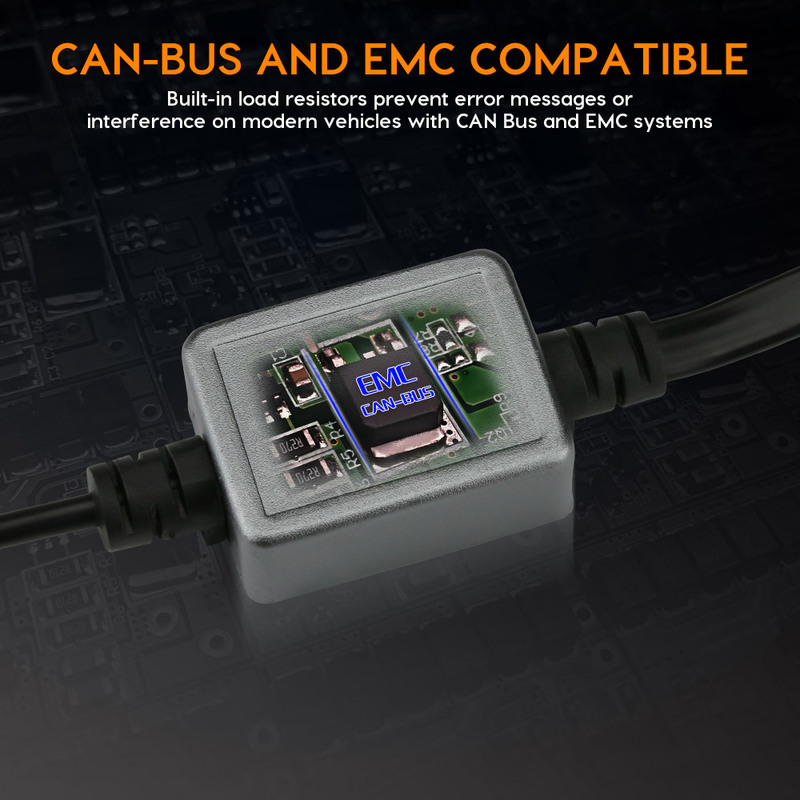 Canbus & EMC ready, error free, interference free for 99% cars. 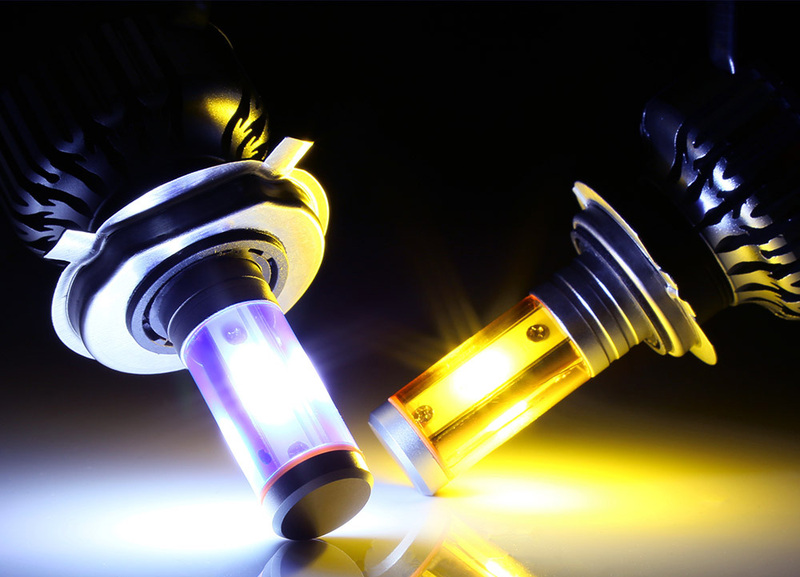 Included blue and yellow sleeves can be slipped over bulbs to customize headlight color and enhance vehicle appearance.